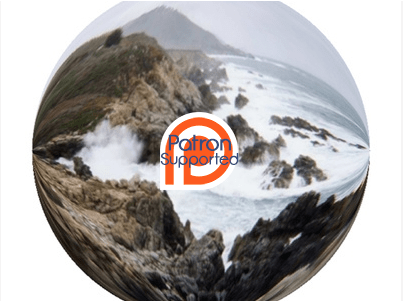 Please visit this post to read my updated views on Patreon. Everyone who becomes a patron is royalty. Everyone who receives patronage is an artist. Well, that’s an idyllic concept of “patron of the arts” anyway. Certainly, in my eyes, being a patron of the arts is a beautiful way to further beauty and creativity in our world. It would be easy to think that patronage is a thing of the past. Queens and kings did have a corner on the market at one point. 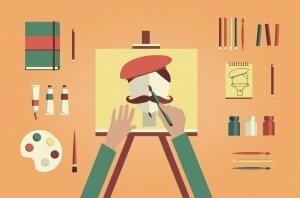 But these days, everyone can have a hand in making art a thing of the present. Everyone who becomes a patron is royalty. Enter the crowd. The connectivity available through the internet/interwebs has changed the ways people with money and people with creativity interact. It’s not so far-fetched that everyone is a noble in this way of relating. Crowdfunding was the next layer in levelling the field in terms of art. People who had no way of funding their expenses and livelihood can make their creativity a priority and a reality through crowdfunding. Initially, most crowdfunding was project based. An artist had a show, an album, and so on to produce. You raised the funds (or attempted to) and used the funds just for that project. More recently, sites have evolved that include ongoing support for artists. These include BandCamp VIP, PledgeMusic (both dedicated to musicians), and Pozible. Is this the next wave of crowdfunding? So, here you go. You can support me for as little as $3.00 per month and become royalty! If you’re reading this, you’re already noble in my mind, but this lets you take it one step further. Please have a look at what patronage has to offer. You may be surprised how much you will get back. Congratulations on setting up the Patreon site, Stan! I continue to consider how and when to take advantage of crowdfunding. My own plan is to tap in for my website when the time is ripe. I hope the time is ripe, Dan! And the beauty of Patreon is that it’s ongoing, so you don’t have to get $1,000’s within a couple of months. It’s more of a trajectory towards making a living as an artist. That’s why I like it. Thanks for dropping by, reading, AND offering your input. Much appreciated.